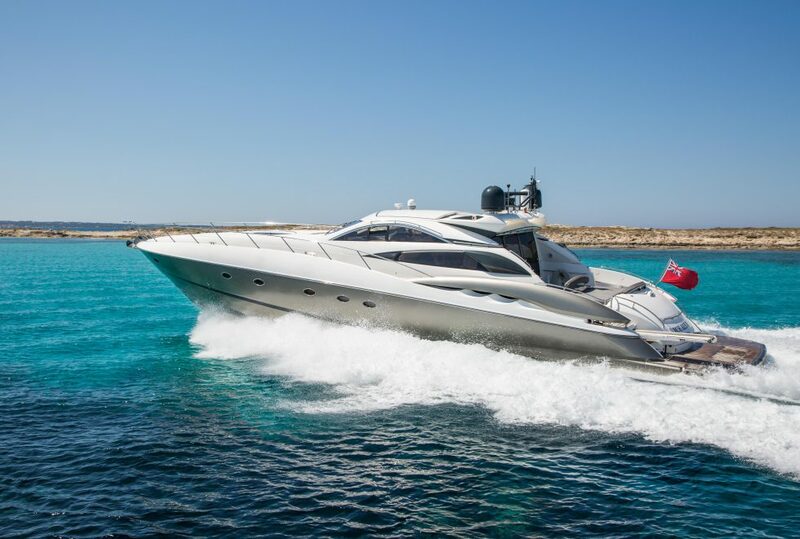 This beautiful Sunseeker Predator 75 is a fast and sleek. Everything you want from a classy cruiser and perfect for big groups or families looking to spend an amazing day out on the water. Let the crew take care of you whilst you relax on one of her many sun beds. 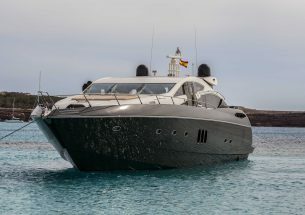 She offers 2 spacious double, 1 twin, 1 crew cabins and 4 bathrooms as well as a kitchen and living room. 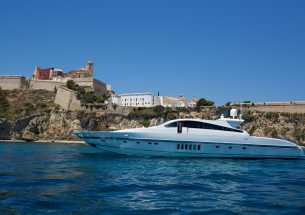 The price does not include fuel, mooring out of base port, or taxes (IVA 21%). Day charter is 8 hours. Start times for full days are on request, though usually between 10:00 to 13:00. Please ask if you would like to see the sunset.